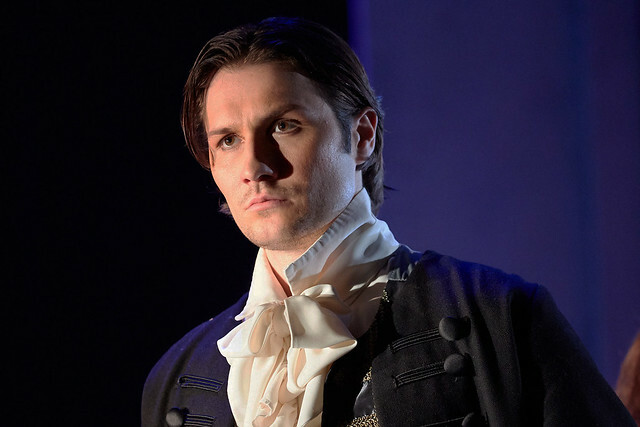 The Australian baritone on singing alongside his heroes, and the extensive training it takes to become a professional opera singer. ‘The Royal Opera House is a Mecca for those who love opera. We all make the journey at one stage in our lifetime’, says Australian baritone Samuel Dale Johnson. As a second-year Jette Parker Young Artist, Johnson’s time at Covent Garden has been more than a little different from that of many opera devotees – and is the culmination of a lifelong passion. Samuel was already studying piano and percussion when the conductor of his choir suggested the addition of singing lessons. He kept singing throughout his studies, even taking a chorus job while at University. ‘It was great because I got to see what the mechanics were within an opera company’, he says. The remainder of the holiday was abandoned in favour of travelling to Sienna to study Italian linguistics and returning to Queensland to finish his studies ahead of an audition for the Jette Parker Young Artists Programme. Following a competitive audition process that culminates in an audition on the main stage in front of Director of Opera Kasper Holten and Music Director Antonio Pappano, successful applicants to the Jette Parker Young Artists Programme join the Royal Opera House as salaried members of staff for a two-year period. During that time they receive daily coaching in everything from languages and stage technique to musical style while learning and covering roles. The Jette Parker Young Artists also sing smaller parts on stage and appear in concerts throughout the year. One such opportunity saw Samuel perform the duet ‘Au fond du temple saint’ from Bizet’s Les Pêcheurs de perles with Toby Spence in the 2015 Life Reimagined Gala, one of his highlights during his time so far at the Royal Opera House. Beyond this, the future is looking bright for the Australian. An engagement with Scottish Opera is scheduled in the coming year but the details are still under wraps. The baritone is particularly keen to develop his Mozartian repertory, but is in no hurry given his current opportunities. ‘You just want it to happen naturally and gradually’, he says.